Why create a 1D Arcade Game System? Imagine having the ability to create retro type LED games similar to the classic handheld LED games of the late 70s and early 80s but with only 10 NeoPixels oriented in an arc combined with lots of sensors! We are challenging makers to create games that transform the Circuit Playground board into a retro handheld 1D arcade game system. The Circuit Playground board is a perfect board to explore coding based on creating retro LED type games with young programmers. We seek to create 1D arcade games centered around retro LED gaming with just 10 NeoPixels. We focus on LED gaming because it provides a great way to teach basic coding and gaming concepts while keeping costs low. 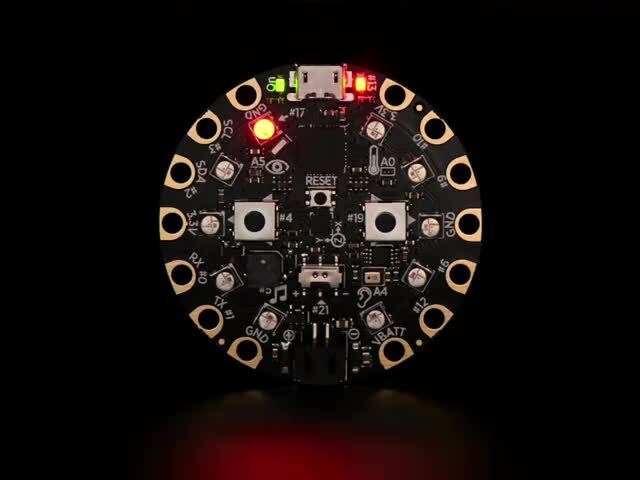 LED based games were fun as portable handheld gaming systems for us who grew up in the 80s, so I am seeking to capture that same kind of fun with Circuit Playground while teaching young programmers how to code. With all of the sensors on the Circuit Playground, it makes the perfect platform for developing LED based games. Instead of 80s LEDs with no extra sensors, Circuit Playground with NeoPixels and a variety of sensors are available to create this 1D arcade game system. This guide was first published on Feb 06, 2017. It was last updated on Feb 06, 2017. This page (Why create a 1D Arcade Game System?) was last updated on Apr 17, 2019.